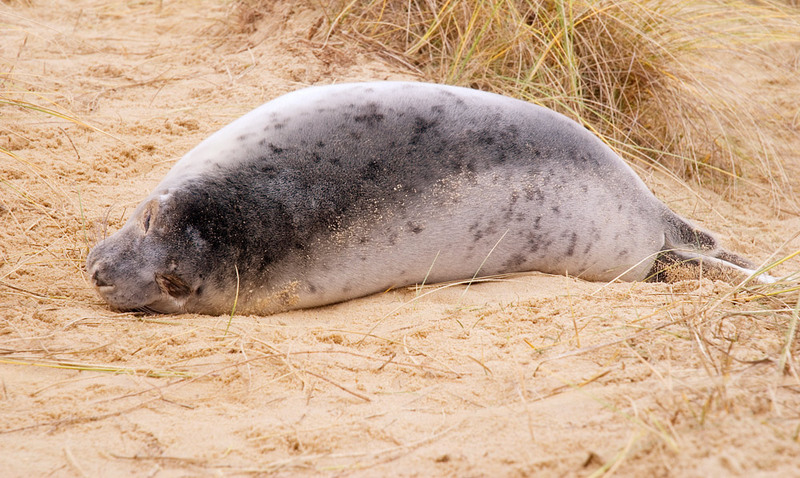 During the months of December and January the grey seal colony at Horsey heads on to the beach to give birth to seal pups, providing a fantastic opportunity to get a close look at the seals and pups. The easiest way to find the seals is to start at Horsey Gap, as shown on the map with a red marker. Parking is available down a track at the entrance of the gap (be warned though its a bit narrow and bumpy!). To find the seals requires a bit of a walk (around a mile) along the coast heading south easterly towards Winterton on Sea. A recommended walk through the dunes gives a nice view of the surrounding countryside to your right with the sea to your left. 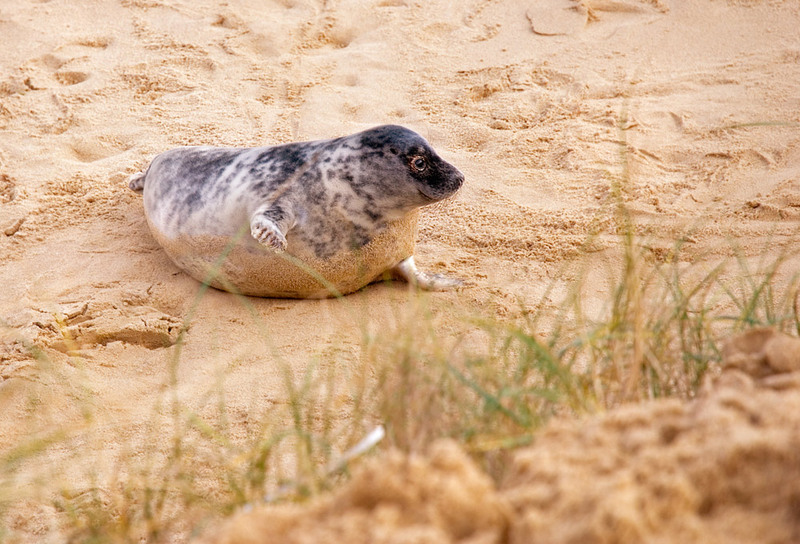 You may spot some seals laying on the beach during the mile walk, but you’ll eventually stumble upon concrete viewing areas, where you have a good chance of seeing seals a couple of feet below you, if not, then on the beach in front of you, or if you are lucky in the dunes! But keep your distance! Warning, do not get too close to or touch any seal, especially the pups. If a mother detects an unfamiliar smell on a seal pup, she may abandon it. Keep all dogs on leads.